Ellen DeGeneres has become a very famous woman as she got her own talk show. People love her and never miss her shows. She is really a bright personality and there is a long, long list of reasons why she is so admired. Those who don`t know Ellen fall in love with her immediately as soon as they get acquainted with her and with her work. And it is not surprising because to my mind she is just awesome! Having this principle in her set of values indicates that Ellen DeGeneres is an incredibly strong-willed person and deserves respect. 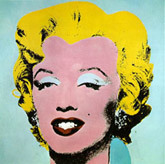 Many people have tried to dictate her what to do but she didn`t submit to it. She has always stood her ground and lived her life the way she wants to, and has never listened to what others say or think about her. She remains true to herself whatever happens. 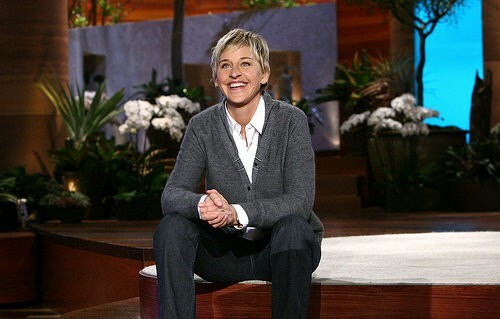 Who has seen her show at least once knows that Ellen DeGeneres is a very charismatic and active person. She is funny, enthusiastic and has a great love for living which all her viewers feel. She has a unique quality to charge people around her with positive energy. And this is another reason why we love her and admire. Ellen`s mother Betty is 82 and they have friendly and strong relationships. Ellen always keeps the best place for her mother. Betty is a frequent guest at the tapings of the shows. She is always a support for her famous daughter. They went through that media fuss together when Ellen declared she was a lesbian. What is even more interesting is that Betty is an ardent defender of people homosexuals. Can you imagine that Ellen DeGeneres became a covergirl among numerous famous names: Pink, Taylor Swift, Rihanna, Janelle Monae, Queen Latifah and many others? This is a very persuasive reason why Ellen is so great. Moreover she was a celebrity to front a cosmetic line making the ads fresh and cute and funny. To announce to the public that one is a lesbian is not an easy thing to do, especially if you are already a famous person. But Ellen had courage to do it on one of her shows and announced it to the world. This news draw a wide response in the mass media but this brave woman seemed to be indifferent to what it is said about her. Ellen DeGeneres is a fan of dancing; it is her cup of tea. She is really good at it and it`s not surprising. All the celebrities that come to her show will inevitably show their dancing talent. They will whether teach Ellen some new tricks or will be taught some moves. Ellen is always in search of young hidden talents using the internet and on Youtube. She is so successful in it that in 2010 she started her own record label called ‘eleveneleven’. But not only that! The most talented and perspective singers are given an opportunity to be brought to her show and be presented to the wide audience. Ellen DeGeneres is a very extraordinary, gifted, beautiful and inspiring person. Nobody can resist her charm. We all can learn much from her and take her as an example. I admire her and I think she does a really great thing. Are you a fan of her shows? What is the thing you like about her the most?